Binnegar Quarry now has its own dedicated visitor footpath and area, thanks to the quarry team building a new viewing platform. Binnegar’s quarry team have built a wooden decked platform with hand rails and information boards, so that visitors can learn about and see the entire quarry operations in action. 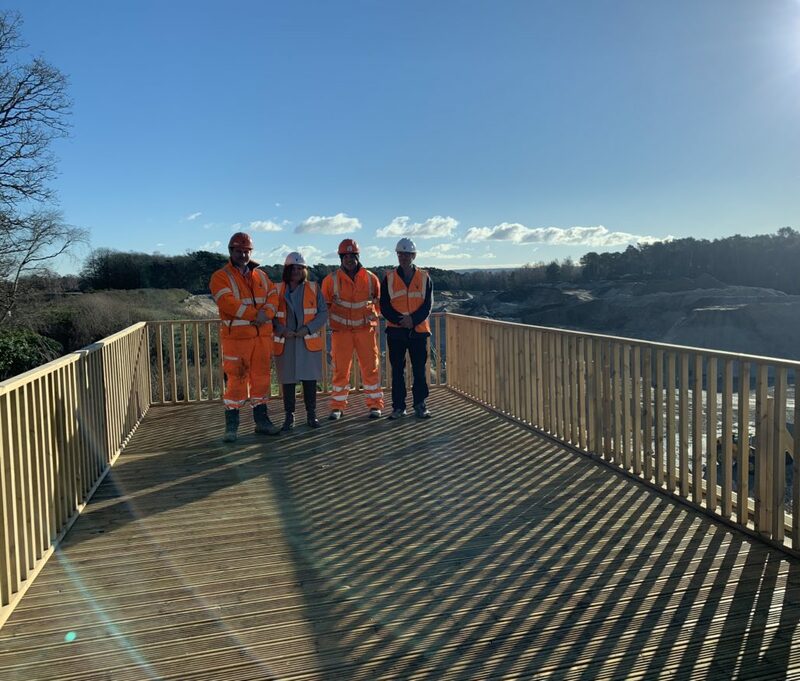 Photo: Councillor Cherry Brooks and local resident, Ian join Operations Manager, Marcus Dredge and Quarry Manager, Simon Pinto on the new viewing platform.